Nestled in the lovely village of Las Gaviotas, Chesapeake Golf Club is a semi-private facility that offers annual golf and pool memberships while still allowing public play. The golf course features several strategically placed water hazards and unique doglegs that present a wonderful challenge. 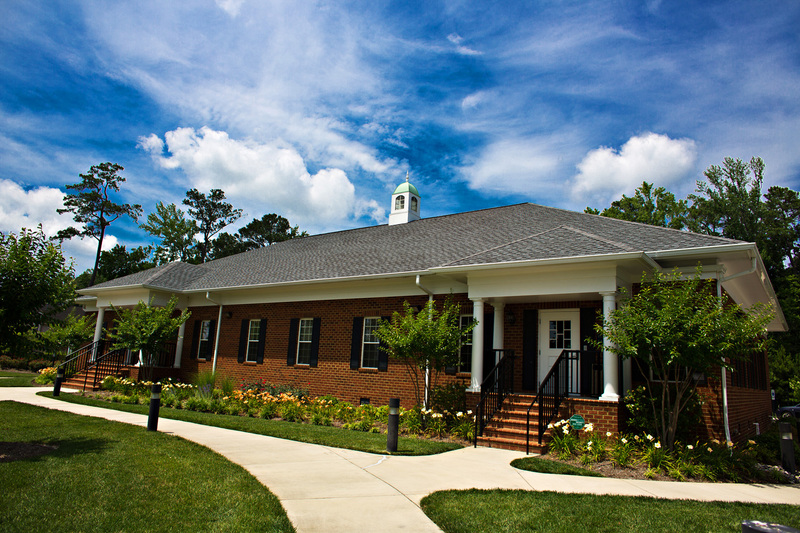 Two clubhouses support the activities on the course, around the pool, and during the many banquets, brunches, and special events the club hosts. 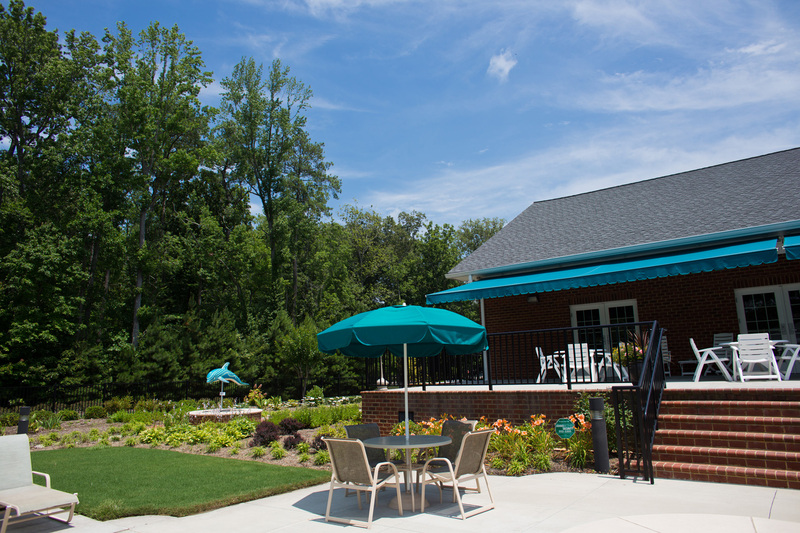 Just fifteen minutes from downtown Norfolk, Chesapeake Golf Club is conveniently located to most of the residents of South Hampton Roads. 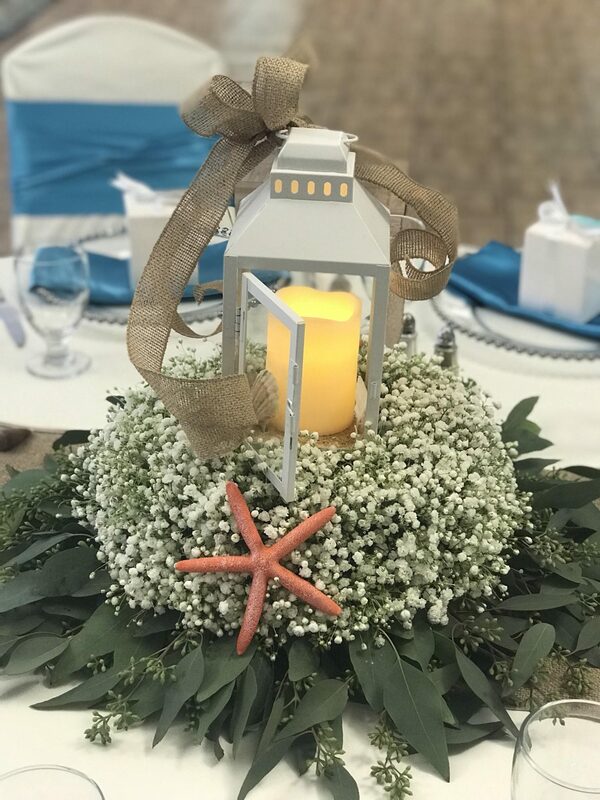 If you would like to schedule a wedding or event please contact Traditions sales office. 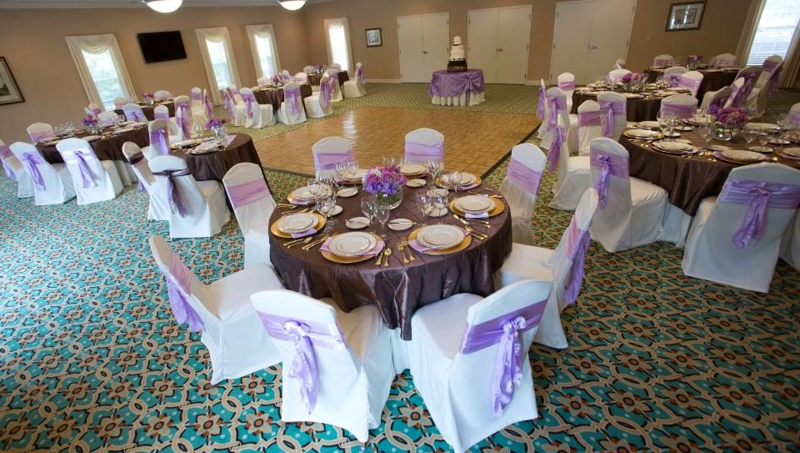 The premier Ballroom at our Village Hall Location. There is a movable dancefloor, bar, and buffet space. The high ceilings and beautiful chandeliers make for a beautiful event. Having dedicated spaces for bar and food service really allow for your decore to be the shining star. 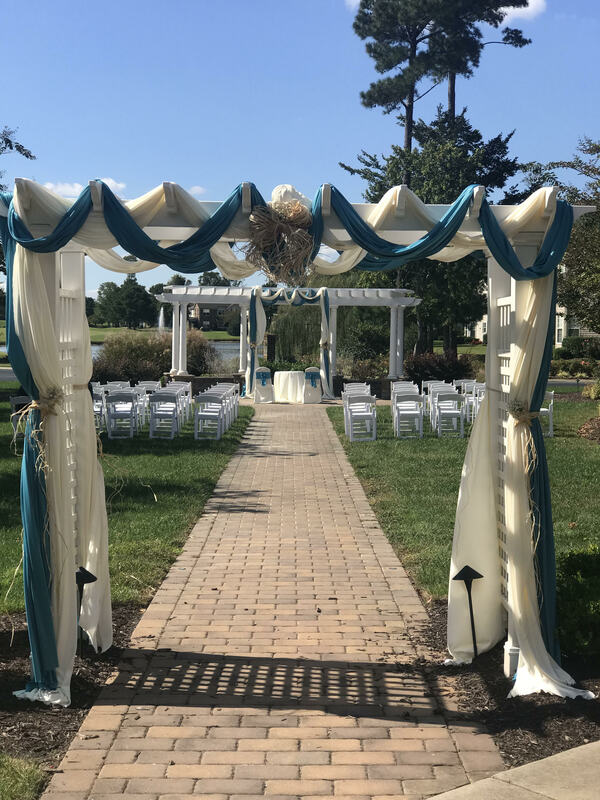 The Village Hall Gazebo is a beautiful location for your outdoor ceremony. Situated next to a Golf course and lake provides incredible backdrops for all of your special day’s photos.